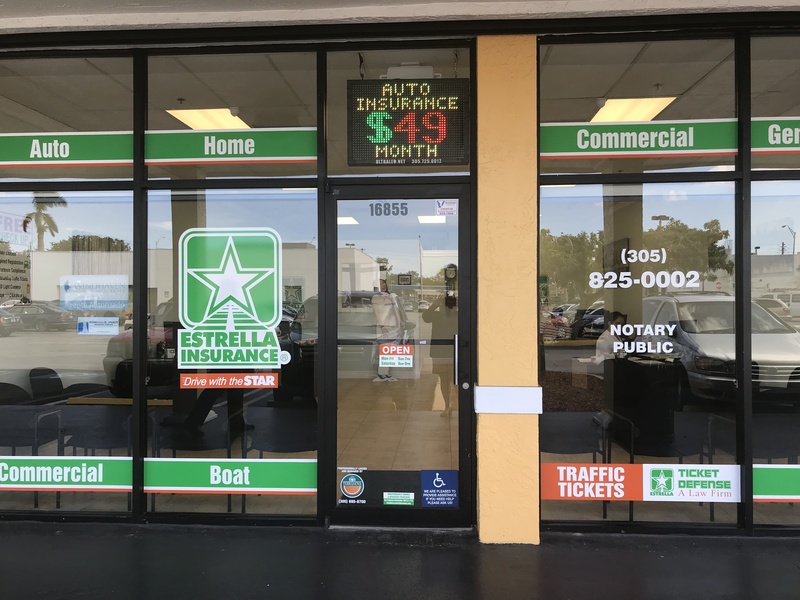 Welcome to Estrella Insurance located on NW 168 Street & 67th Avenue. We provide all types of insurance in Hialeah; Miami Lakes; Miami, FL. Our team can help you get a free quote for Car Insurance or Commercial Insurance. We can also help you with Homeowners, Boat and Motorcycle Insurance. Bienvenido a Estrella Insurance localizado en la 168 Calle & 67th Avenida del NW. Ofrecemos diferentes tipos de seguro para su Auto, Barco, Casa y Motocicleta en Hialeah; Miami Lakes; Miami, FL.